Don't Miss these Great Massachusetts Races! This website has been developed from many years of paddling the rivers and lakes of Massachusetts and beyond. We started to write notes and keep folders with images from our paddles. We have used this for ourselves, family and friends that paddled canoes and kayaks with us. We have found most guidebooks lacking in completeness both in the list of paddles and the information provided. We have tried to put together the essential information needed for each paddle and then added information of historical value. Please read below to better understand how to get the most out of the information here. You finally decided to get some exercise. Being outdoors is so inspiring and a friend, family, or outfitter has convinced you to try paddling. Yes, you know how to swim. Yes you live in Massachusetts. So you bought a boat! Now, where do I use my boat? You probably already went to the pond or lake in your town but now its time to branch out. Where else can I take my kayak, canoe or paddle board? Where can I find accurate information? Thank goodness! You’re at the right website. If you are looking for that resource that has the answers to the question where, then read about how to use this website below. If you are new to paddling, we would suggest you begin on the lakes, ponds, and reservoirs. When you become more proficient, start with the rivers. Especially rivers that are slow moving. Get accustom to putting in up river and taking out down river. Finally, with some instruction and experience, you can attempt a little whitewater. But, we are getting ahead of ourselves. Lakes and Rivers are separated out. 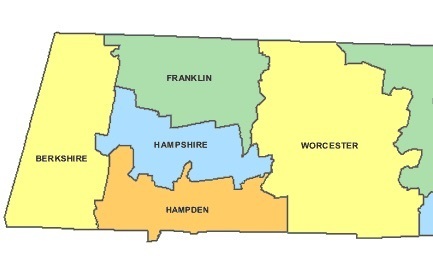 The four Western Massachusetts counties (Berkshire, Franklin, Hampshire, and Hampden) and Worcester County have been completed for lakes. Most Rivers are done but some are still a work in progress. Start by selecting either The Lakes or The Rivers below or from the top menu. When you have the time, take a gander at the Paddlers Learning Center. of Western Massachusetts and more. the best insurance any paddler can get. Learn how to handle a bad situation at an access site.